Later, the guide discusses expanding the electorate by "at least 10 million voters" in the United States. This would be accomplished "by lowering barriers to voter registration through the various forms of modernization and increased ballot access while sustaining and expanding the franchise by establishing strong protections against vote suppression, denial and dilution." "The Open Society Foundations supports efforts to encourage wider participation in U.S. elections, and opposes measures used to try to suppress voter participation," the spokesperson said via email. "We hope to see these unfair laws, which often disproportionately affect the most vulnerable in our society, repealed," Soros said about the campaign in 2015. He vowed to spend at least $5 million on the effort. "George Soros is involved in every aspect of manipulating the rules of American elections," Adams told the Washington Free Beacon. 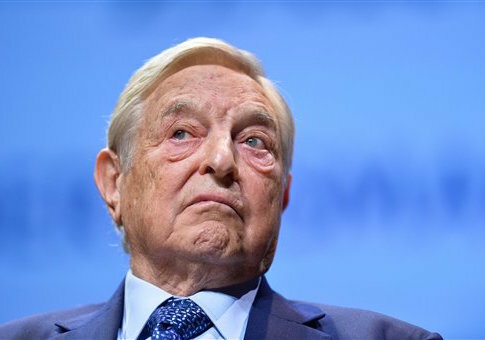 "From funding Pew’s efforts to centralize election administration, to fueling litigation that attacks election integrity laws, to fanning the flames of racial agitation and polarization, Soros dollars are doing all they can to fundamentally transform American elections."